Leaves aren't the only things that can change colors this time of year! After all, who doesn't love bright and colorful DIY crafts, especially in the fall? 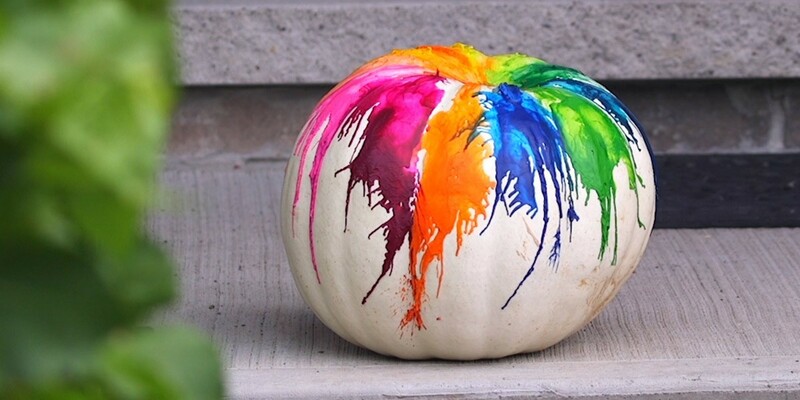 This melted crayon pumpkin is the perfect combination of a classic autumn icon with a beautiful splash of rainbow colors. It's dead simple to make, and you probably have most of the supplies you need on hand. 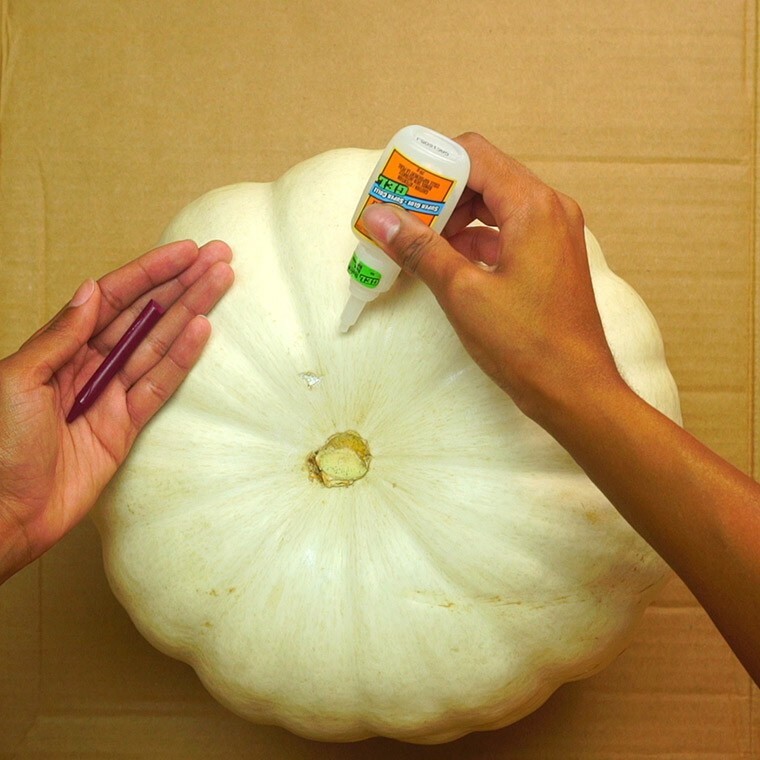 Just remove the paper from a handful of brightly colored crayons and hot-glue them around the top of a nice white pumpkin. Hit them with a blast of hot air from your blow dryer and watch the colors run! 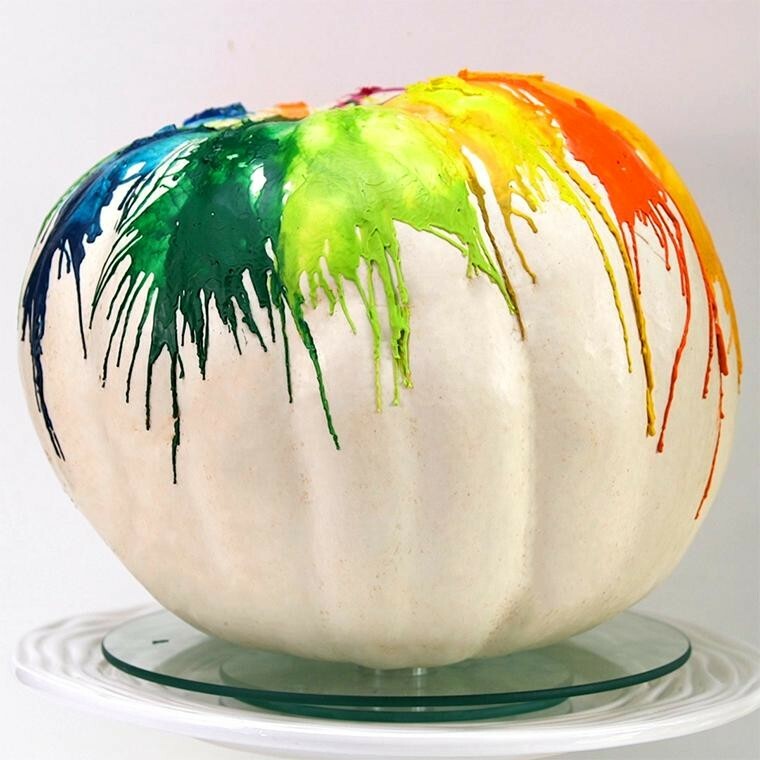 It's a great craft to do with the kids, or just to add a splash of color to your fall-themed decor! 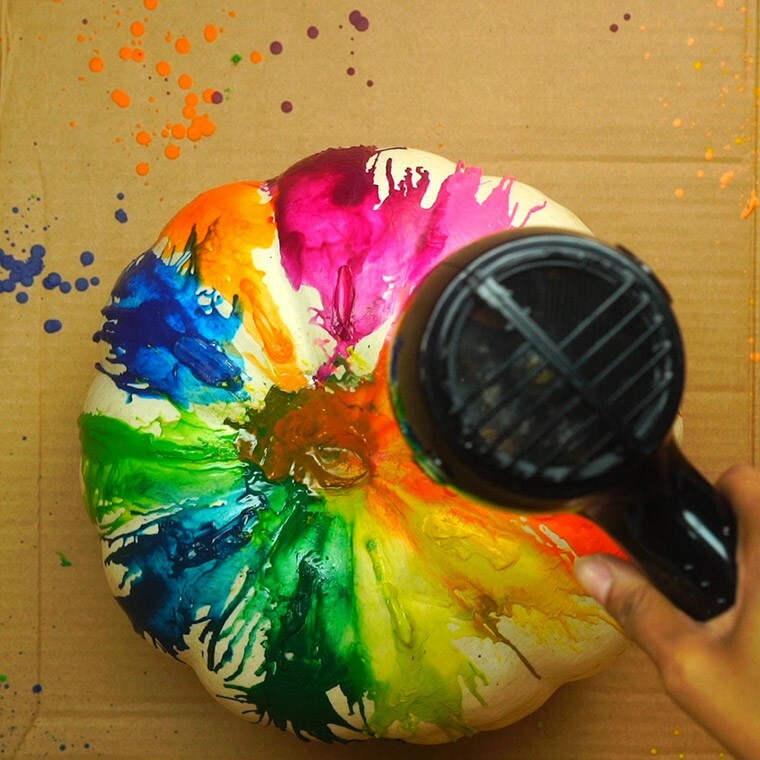 Set up pumpkin in a well ventilated area with cardboard or a garbage bag underneath to catch spills and splashes from the crayon. Remove all the labels from your crayons and break them into smaller sizes - about 3/4 of the original crayon. 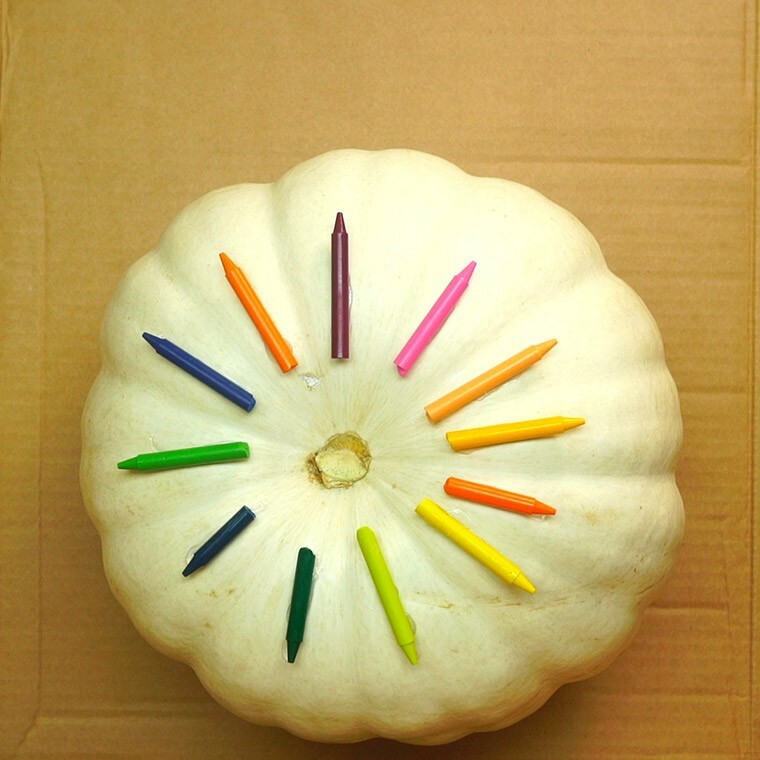 Place the crayons in a ring around the top of the pumpkin and glue them in place. 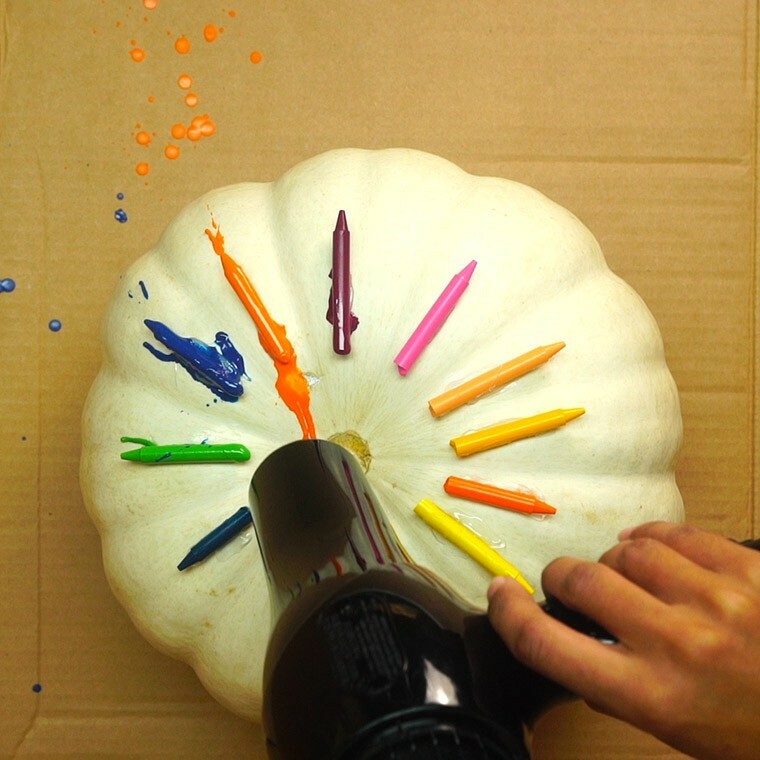 Holding the hair dryer about 3 to 4 inches from the pumpkin, point the hair dryer at the crayons and apply heat on high. Let the pumpkins cool for about 5 minutes before handling. Do you know someone who would love to try making this pumpkin for Halloween this year? Make sure to share the instructions with them! 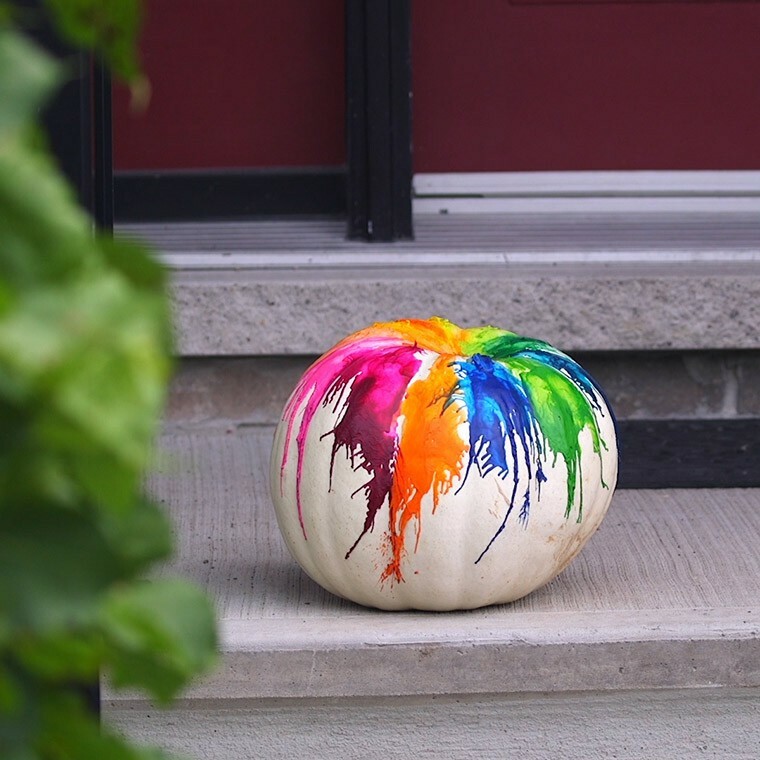 You can watch our video below that shows you step by step how to make this rainbow pumpkin.